It’s taken them long enough, but the Emmys have finally created a separate category for Sketch Shows! Usually shows like Portlandia and SNL would be lumped together with shows like The Daily Show and The Tonight Show. But by gosh it’s 2015, and it’s time to give sketch series the respect they deserve. And of the five nominees we have here today, who better to bestow this premiere award to than the sole nominee that has just finished it’s run. Yes, dear readers, I say it’s time we reward the valiant efforts of Key & Peele. Let us first bestow praise to the other nominees in this category; Drunk History took an Internet sensation and transformed it into a worthwhile comedic outing. Inside Amy Schumer’s third season is revelatory for bringing it’s magnificent Twelve Angry Men parody into the universe. Portlandia continues to showcase the odd and manic talents of Fred Armisen and Carrie Brownstein. Saturday Night Live is still on the air! After a 5-season run on Comedy Central, Key & Peele has left the building, and the world is a happier, funnier place because of their show. Keegan-Michael Key and Jordan Peele didn’t just create your run-of-the-mill sketch show. These sketches each have their own distinct filmmaking style, with the production team going above and beyond to make sure each story has a unique visual aspect. AND they cover such topics as racial relations, stereotypes, societal discrimination, and contemporary pop culture. AND on top of all that, they’re just really damn funny. I can’t think of anything funnier than “East/West Bowl” or “Continental Breakfast” or those damn Valet Guys, and the list goes on and on. 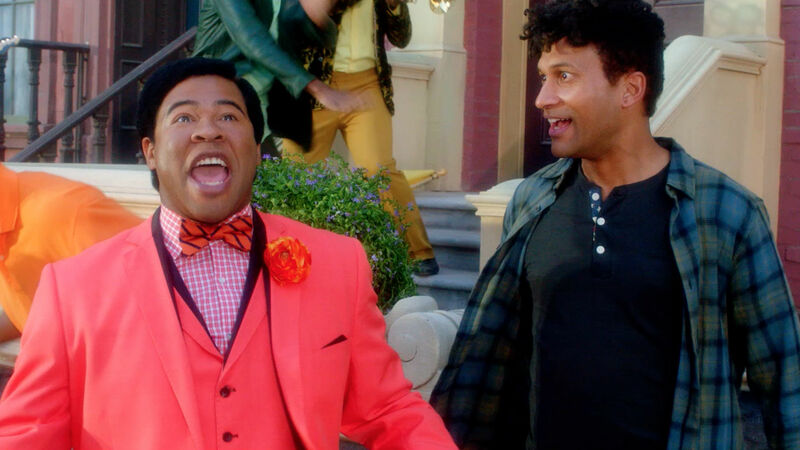 Key & Peele (and creators, Key and Peele) revolutionized the TV-sketch game, and the way we see Comedy Central, which has now become one of the strongest places for creator-driven comedy on television. They sailed valiantly into this world, and on their voyage out, what better way to thank them then to give them a shiny trophy? Hingle McCringleberry would approve.